Firewalls help protect computers by screening out hackers, viruses, and worms that try to reach your computer. It is important to review firewall issues for Computer Security. Firewalls control incoming and outgoing network traffic. They establish barriers between the trusted, secure internal network and another network that is assumed to be not secure. 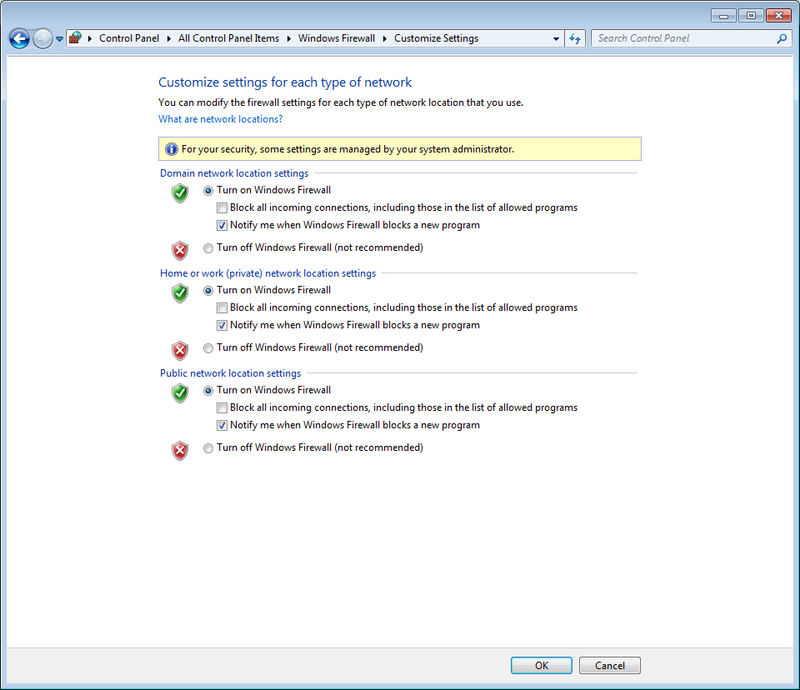 Firewalls act by blocking all the ports on a computer. A port is simply a channel of communication that computers can use, and there are thousands of them available. 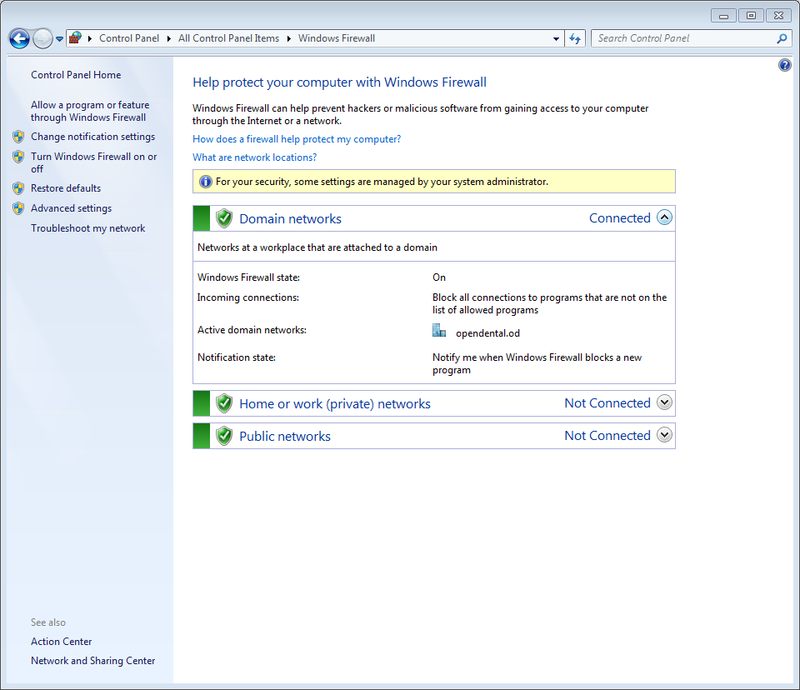 Below are general guidelines for turning the Windows Firewall on/off. On your Server: Go to the Control Panel. At the very bottom, click on Windows Firewall. 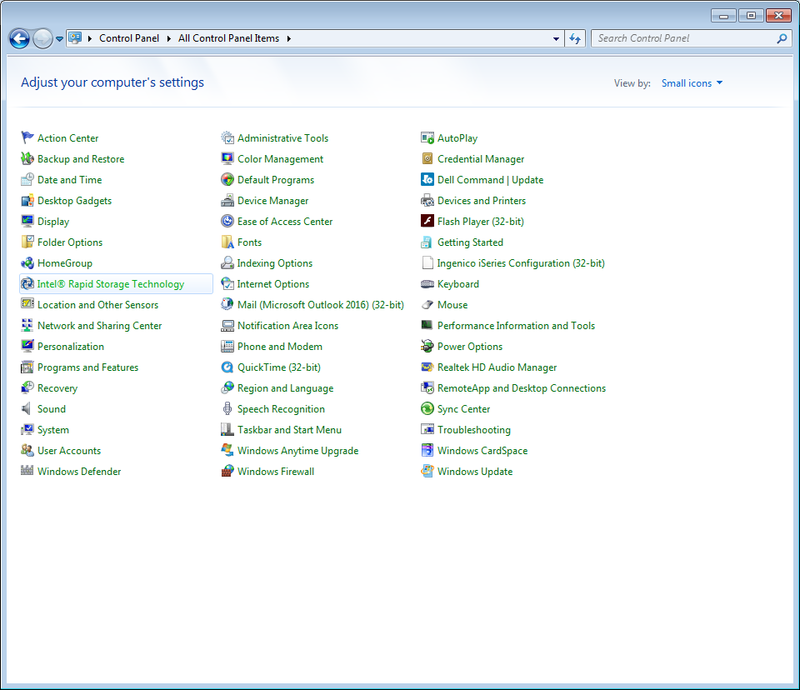 On the left, click Turn Windows Firewall on or off. Hardware Firewalls protect your computer system from attacks outside your local network. If you are connected to the internet via a cable modem or DSL, you will need a router which acts as a firewall. Linksys makes a great line of routers for under $100. They come with very good instructions on installation. The cable from the cable modem or DSL modem is connected to the Wide Area Network (WAN) port on the router. The LAN port of the router is then connected to the switch so that all computers have access to the internet. Some routers have a built-in switch, and in this case you can plug all the computers into those ports instead of using an external switch. The router hides the LAN from outside computers, protecting you from many types of virus attacks. Software Firewalls help protect an individual computer from attacks from other computers in your office. They act as a second line of defense. For example, if one computer in the office gets infected, it can't spread to the others. Since Open Dental uses ports, software firewall settings will need to be adjusted. Each firewall has a different way of setting up which ports get blocked, but you should always be able to add ports to an exceptions list. Many antivirus software programs have their own /t software firewall feature. We recommend using the Windows Firewall instead, and turning off or uninstalling the software's firewall or internet security. If you still want to use your own firewall, then you MUST Open Port 3306 on the server; NOT on each workstation.